Icon editing is one of those tedious tasks that can really pose to be a problem. Over the years I’ve used many Icon file creators and editors for Windows, but each one was limited in its functionality. I was working on the icon for The Technopath a couple of days ago and had to convert my design into an icon file. Sadly though, the two icon editors I used had expired, so I started hunting for a new solution and found IcoFX. IcoFX is a simple, yet powerful icon file editor at an unbeatable price; its FREE. 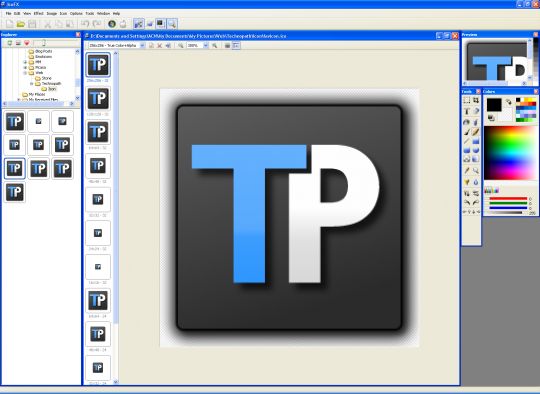 It has all those features you would expect from a powerful icon manipulation application like Stardock’s IconStudio. Yet it is the most simplest tool I ever used.You can import a number of image formats and convert them into icons for the Mac or Windows. It supports sizes upto 256×256 with 32-bit alpha channels. A built in image explorer lets you browse and select files from your hard drive, and you can add them into your icon with a simple double click or drag and drop. You can even use the built in image editor capabilities if you don’t have any other graphic editor. Infact the built in image editor is quite powerful and allows you to apply tons of pre-installed filters on your images. You can also define custom filters if you want additional control. Icon libraries are also supported and you can pack and distribute icons into libraries and apply batch processing on them. It took me only 5 minutes to convert and optimize my design of The Technopath icon with IcoFX. The only feature I find missing is the ability to convert images into icons with a simple right click context menu in the explorer. This is something really needed for those who have to work with icons a lot. IcoFX is a simple, yet powerful icon file editor at an unbeatable price; its FREE. 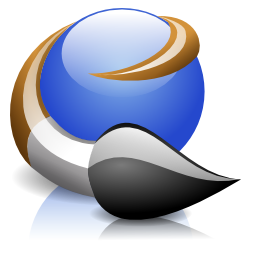 It has all those features you would expect from a powerful icon manipulation application. lol, there is no “Windwos” OS like you mentioned in your title. …ma dov’Ã¨ il link per mac?! A specific version for the Mac OS X isn’t available. You can create and convert icons for the Mac platform using the Windows version. Una versione per Mac OS X non Ã¨ disponibile. Ãˆ possibile creare e convertire le icone per la piattaforma Mac utilizzando la versione di Windows. Ran 18 queries in 0.207 seconds.